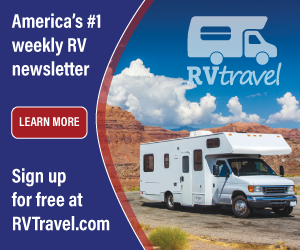 The RV Doctor: What Watts? 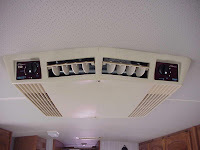 I have a Coleman roof air conditioner on our motorhome. What wattage does it take to start and run the air conditioner? John, roof air conditioners must be wired to a dedicated 20-amp circuit. At 120-volts AC, 20-amps equates to 2,400 watts. The starting current needed will vary depending on the size of the unit, but it could be close to 17 or 18 amps or higher depending on the condition of the compressor and where in the cycle it actually starts. Running amps should stay at about 13 - 14-amps. These are estimated figures for a properly charged unit in good operating condition. Check with the manufacturer for the specific data.